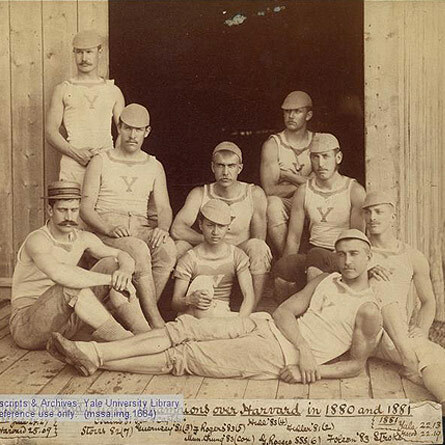 The Yale University Crew, with its first Chinese coxswain, Chung Mun Yew, posed on the deck of the Yale Boat House at New Haven. Chung’s small stature and light weight gave the Yale crew a competitive advantage when the same crew twice defeated Harvard’s crew at the annual boat races on the Thames River at New London in 1880 and 1881. Only a week after the victory in 1881, however, the CEM students learned that the Mission had been closed and that they were to return to China.